Bring your students to our working farm to learn about resilient agriculture. From September to April, we offer age-appropriate, multidisciplinary programs for students from first grade through high school. 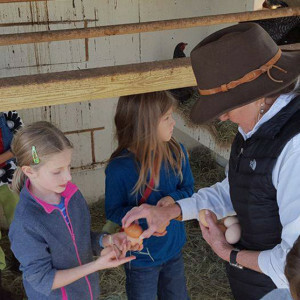 Students and teachers learn about agriculture firsthand on a working farm, including everything from food cycles to agricultural business. There is something for any class to learn at Blackwood! We offer 1-, 2- and 3- hour specialized programs for every group, including TEKS relevant programming. 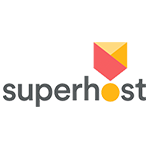 Bring your class to Blackwood for an overnight stay. We offer weeklong school programs for youth groups, public, private, homeschool, scout troops, and more. See the farm in action for a week or more, shadow the farmer, and choose customized programming to meet your lesson plan needs. 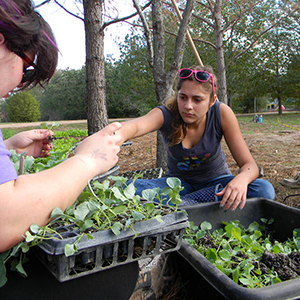 During this experience, students can expect to immerse themselves in life on our farm. They connect with nature, the gardens, and our animals. They discover the source of their food and what it takes to care for the land from which it comes. Send your child to Blackwood Camp! We offer a variety of camps for ages 3 to 18 during the summer. During our Summer Nature Camp, campers ages 8 to 14 enjoy a week-long outdoor experience exploring nature. 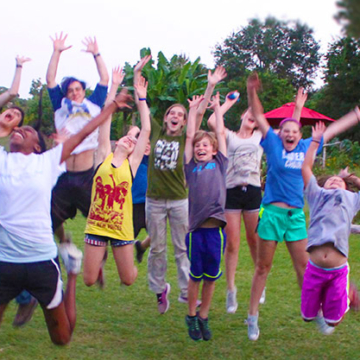 Whichever camp you choose, your child is sure to have the time of their life! Be better prepared for an emergency! Recognizing life-threatening medical symptoms for kids and adults is crucial for any parent, professional or concerned citizen. As outdoor educators and farmers at Blackwood Land, we believe this knowledge is invaluable whether you live in an urban area or leading a trip into the wilderness. 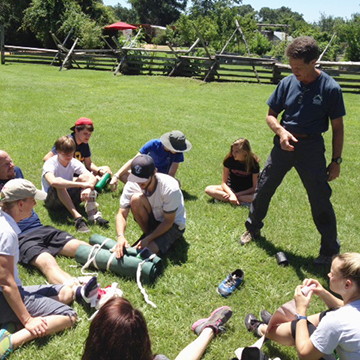 During the summer we host courses offered by Wilderness Medical Associates that will train you better manage medical emergencies.